I can’t believe 2010 is over. Also, I can’t believe how many books I’ve read over the course of the year! If I had to guess, I’d say somewhere around 55 novels, mostly YA. There have been some definite stand outs, and with 2010 coming to a close in just a few hours, I think it’s only appropriate to showcase them in my last Friday Five of the year. All italicized blurbs are from good reads, followed by a sentence or two about why I loved each book. Happy New Year’s Eve! 1) Seventeen-year-old Lennie Walker, bookworm and band geek, plays second clarinet and spends her time tucked safely and happily in the shadow of her fiery older sister, Bailey. But when Bailey dies abruptly, Lennie is catapulted to center stage of her own life—and, despite her nonexistent history with boys, suddenly finds herself struggling to balance two. Toby was Bailey’s boyfriend; his grief mirrors Lennie’s own. Joe is the new boy in town, a transplant from Paris whose nearly magical grin is matched only by his musical talent. For Lennie, they’re the sun and the moon; one boy takes her out of her sorrow, the other comforts her in it. But just like their celestial counterparts, they can’t collide without the whole wide world exploding. One of those rare books that catches you between wanting to write as beautifully as the author and knowing you’ll never be able to. Difficult as her situation was, I wanted to BE Lennie. 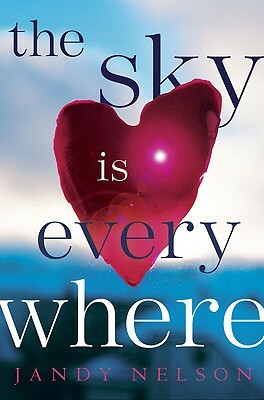 The Sky is Everywhere made me laugh and almost cry–a rare feat! 2) Sixteen year old Gemma is kidnapped from Bangkok airport and taken to the Australian Outback. This wild and desolate landscape becomes almost a character in the book, so vividly is it described. Ty, her captor, is no stereotype. He is young, fit and completely gorgeous. This new life in the wilderness has been years in the planning. He loves only her, wants only her. Under the hot glare of the Australian sun, cut off from the world outside, can the force of his love make Gemma love him back? The story takes the form of a letter, written by Gemma to Ty, reflecting on those strange and disturbing months in the outback. Months when the lines between love and obsession, and love and dependency, blur until they don’t exist – almost. 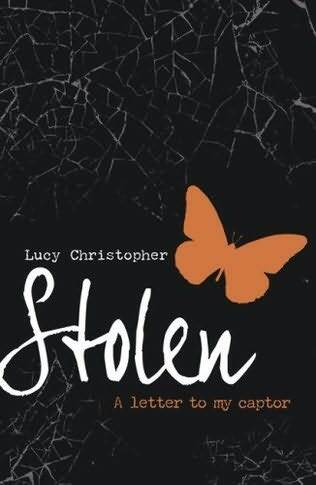 Stolen left me completely torn… how could I possibly feel sorry for a kidnapper? Weirder yet, how could I WANT him to end up with the girl he took? The second-person narration is brave and disarming, and the setting harsh and beautiful. 3) Last year, all of Belly’s dreams came true and the thought of missing a summer in Cousins Beach was inconceivable. But like the rise and fall of the ocean tide, things can change–just like that. Suddenly the time she’s always looked forward to most is something she dreads. 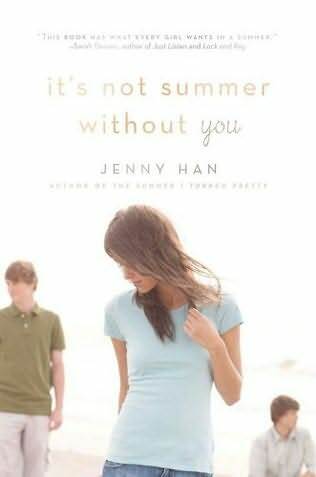 And when Jeremiah calls to say Conrad has disappeared, Belly must decide how she will spend this summer: chasing after the boy she loves, or finally letting him go. I adore this series–read The Summer I Turned Pretty first. Belly is so perfectly flawed, and her interactions with the boys are emotional and evocative. Can’t wait for the final installment, We’ll Always Have Summer. 4) Anna is looking forward to her senior year in Atlanta, where she has a great job, a loyal best friend, and a crush on the verge of becoming more. Which is why she is less than thrilled about being shipped off to boarding school in Paris—until she meets Étienne St. Claire: perfect, Parisian (and English and American, which makes for a swoon-worthy accent), and utterly irresistible. The only problem is that he’s taken, and Anna might be, too, if anything comes of her almost-relationship back home. As winter melts into spring, will a year of romantic near-misses end with the French kiss Anna—and readers—have long awaited? I know I raved about Anna in a previous post, but I couldn’t leave her off this list. She’s adorable, and Etienne is totally the-boy-you-wanted-to-date-in-high-school. Funny, sweet and true to life, even though it’s set in lovely Paris. 5) Cassia has always trusted the Society to make the right choices for her: what to read, what to watch, what to believe. So when Xander’s face appears on-screen at her Matching ceremony, Cassia knows with complete certainty that he is her ideal mate . . . until she sees Ky Markham’s face flash for an instant before the screen fades to black. The Society tells her it’s a glitch, a rare malfunction, and that she should focus on the happy life she’s destined to lead with Xander. But Cassia can’t stop thinking about Ky, and as they slowly fall in love, Cassia begins to doubt the Society’s infallibility and is faced with an impossible choice: between Xander and Ky, between the only life she’s known and a path that no one else has dared to follow. 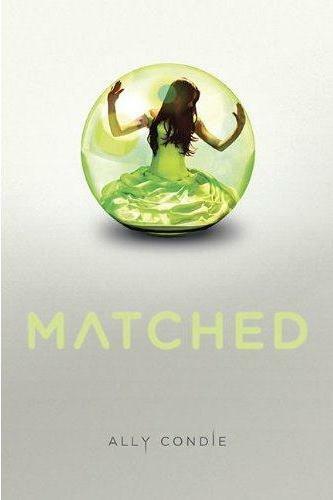 I felt the same way about Matched that I did while reading the Hunger Games. Amazing world building, a terrifying what-if concept, and a heroine you MUST root for. I’m not a big reader of dystopians or novels set in any sort of future, but Matched is simply amazing. Okay- the three that I’ve also read i TOTALLY agree with you on (Anna, Stolen, and TSIE). This makes me think we are on the same page when it comes to books! I will definitely check out the other two– thanks for sharing! I think we do have similar reading tastes. I always enjoy reading the reviews you post and have already checked out several of your recs. Hope your New Year was great! I loooooooooooove posts like this, because I haven’t read any of them, which means I have five new recommendations! Matched arrived at my house recently, but I nobly gave it to my flatmate to read first. I think I might have to move it to the top of my list!